With Father’s Day on Sunday and a chance of rain, my boys and I decided to go to Skyview drags on Saturday. The track is near Owego, NY south of our home in Cortland, NY. 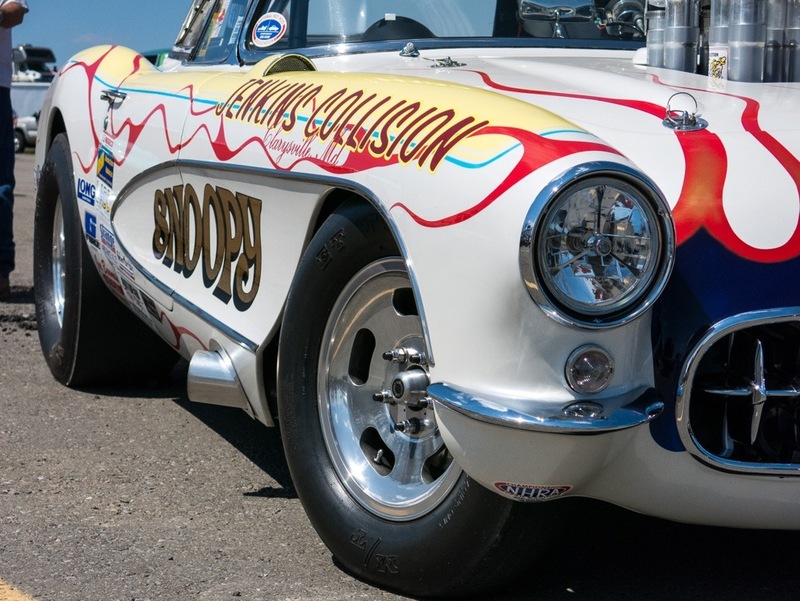 We arrived at the track early afternoon to catch most of qualifying, and see some of the cars in the small car show that was taking place on the grounds as well. The pits where full of drag cars ,and trucks from all over the east coast. One fellow we where talking to said he traveled 5 hrs. to race there and loved the track at Skyview. 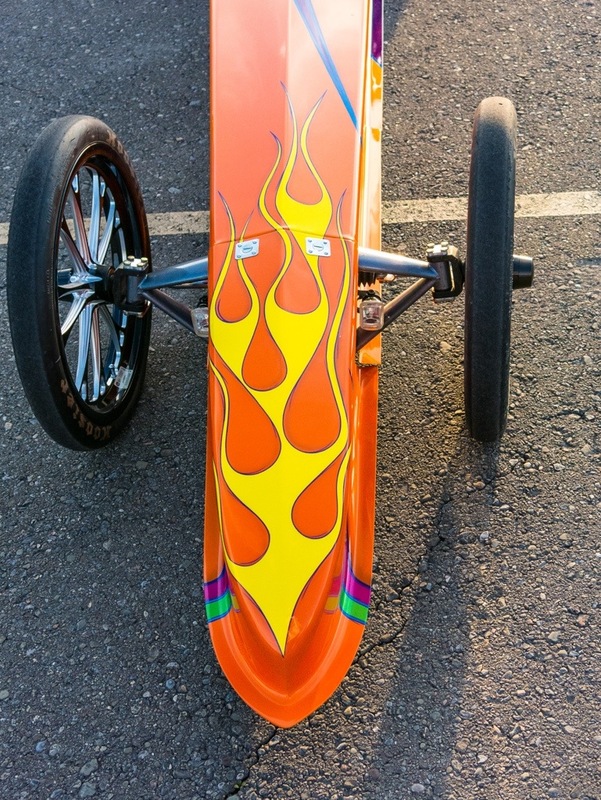 A group of racers called Pro Stick had invaded the 1/8th mile track for one of their point races as well as the regular participants from snowmobiles and bikes, to street cars and the always fast n loud Pro divisions. The sun was out and the temps where in the 70’s making it a wonderful day for the racers and spectators. We walked through the pits to check out the beautiful cars that where getting ready to hit the strip. The white corvette above was one that caught my eye with its wild paint and nice stance. I didn’t bring my DSLR cameras with me just my Canon G15. 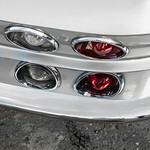 I would of been nice to have my 70-200 2.8 lens but the G15 did just fine, and made me be more creative with how I shot. This camera is a great little camera and shoots raw which helps in post. Soon I plan on using my IPad with it and send images from my camera directly to my IPad. Not only are there drag races up on the hill at Skyview they also have a concrete oval track next door to the strip. We watched a few heat races on the oval Shangra la 2, it was nice to see some asphalt modified racing. It looked to me that the car count was low in most of the oval classes, but the stands looked pretty full for the races at Shangrla 2. We had a really good time watching the side by side racing all day and into the night. My sons and I recommend taking a trip to your local drag strip and support your local racers you won’t be disappointed. My sons Vanze And Cruz took me to Skyview Drags In Owego, NY yesterday for fathers day. 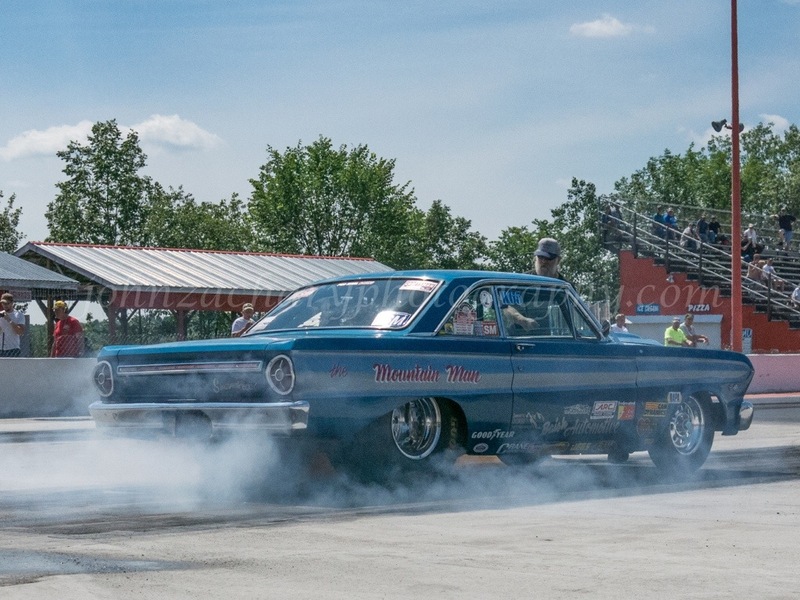 We had great time watching all kinds of 1/8th mile racing in multiple classes. Visit my site and enjoy the images I posted from Saturday night. 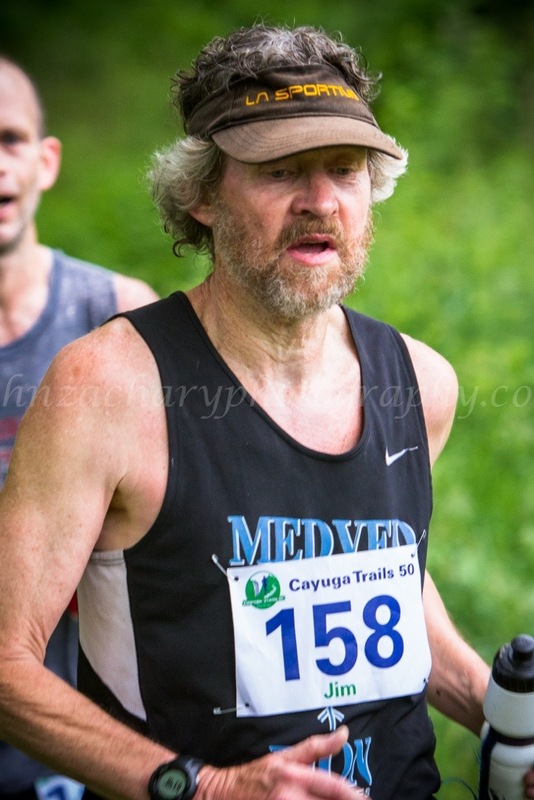 Last Saturday I made my way to Ithaca, NY for the Cayuga Trails 50. 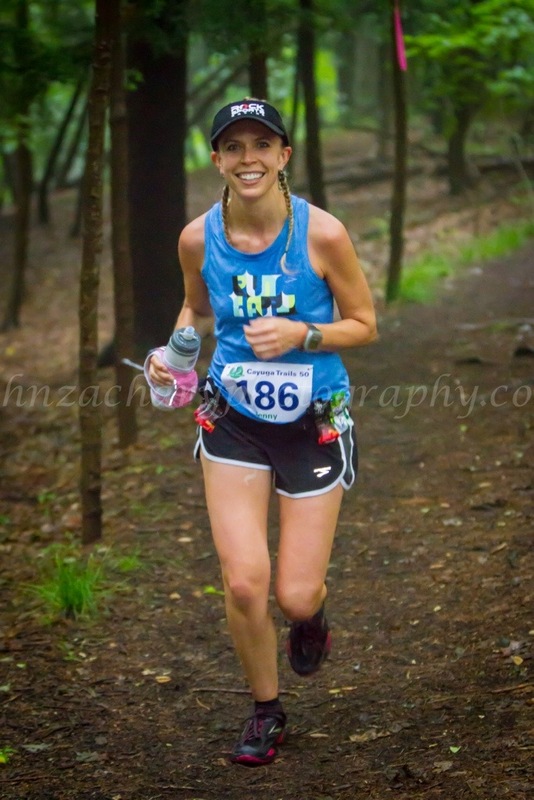 This is the first running of this race through Treman State park and Buttermilk Falls State park. Each one of the runners had to endure wet, muddy conditions running up stairs down hill through streams and many more obstacles for 50 miles. I arrived at the Old Mill in Treman Park at 5:30am with a slight mist in the air. My cousin Steve Gallow was the lead photographer for this event (Steve Gallow Photography). Steve asked me to join him in shooting this race along with another photographer from Binghamton, NY Steven Gorgos. The three of us split up and went our separate ways to capture the days event. 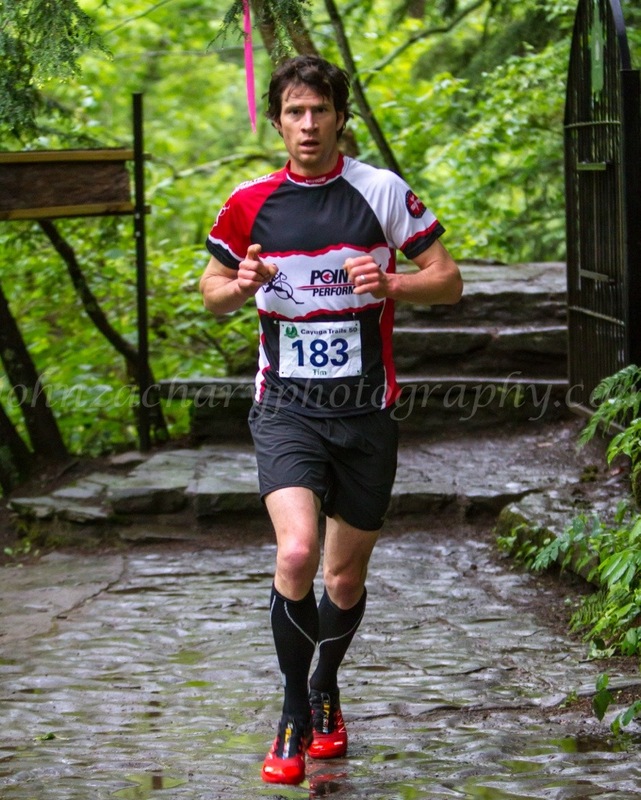 I started at the top of the first section capturing the runners as they heading up the gorge to the top of the park. With it being early in the morning (6:00am) the light wasn’t very good to start with. Plus it was a light rain and in the woods to boot. This was going to be a challenge. I would have to push my Canon cameras to their limits to get some decent shots. At first I thought I would pop a flash and make up for the lack of light. After a few shots I realized that my recycle time on my flash couldn’t keep up with all the racers coming at me. So I bumped up my ISO to around 2000-2500 on my 7D, F2.8 – 3.5 just to 250 shutter speed. I was using my Canon 70-200 2.8 IS lens. With the runners moving at a fast pace I needed to keep my SS up to stop the blur. I also found it hard to catch focus on their faces because of the shadows. My concern was to get the early leaders as they passed me because I didn’t know when I would see them again. This was the first time I had shot this sport making it even more of a challenge to get some keepers. After most of the field went by I move to another location up into the green canopy ( called the woods ) . The ground was a nice rich brown, but the background was a bright green. I used AWB and was shooting RAW so I could make changes later in post. As I wondered through the woods I was looking for some sunlight beaming down from above to catch the runners as they ran through. It was really cool seeing the runners smiling and giving the thumbs up as they Pasted by me.These people where working hard and had a long day ahead of them. I had to hold the camera in the vertical position for most of the 13 hrs that I was there shooting. I did this to get full body shots of them. This was also a different way for me to shoot. Most of the time I shoot horizontally when I’m shooting sports. As the day went on I moved to different spots on the 25 mile course, I started to see the pain on the faces of the participants, so instead of just shooting full body shots, I started to get in closer to bring the personal side into the images. As the day went on I could see that is was getting harder for the runners and I wondered how many of them would finish the 50 miles. This definitely helped me understand this sport more as it got later in the race. About 12:00 noon I made my way down to the start finish line to catch the leaders as they came in from the woods. Down at the start finish line I was in better light and could turn my setting back down to a nice level. Before the leaders arrived I had a chance to get some shots of people coming in to complete their 25 mile mark (1/2) way for them. At the 6:40hr mark the leader was in site. I move to a position where I could get him at the line with the clock in the frame as well. After Sage came in the other runners started to trickle in one by one. Every time someone came in there would be a bunch of people with their phones or cameras trying to get a shot of the athlete they where routing for. This made it hard for me to get in the same spot every time. I understand that people want to get a nice shot, but that is why the event has photographers. Six hours later the last of the runners had made it in from the long day of running. This was a fun shoot for me, but a long day as well. I think I shot around 1200 pics keeping around 800 to put up on my cousins site for sale. Next time I would definitely try to scope out the course before hand. This would help me find some unique areas to catch the action. With three of us shooting I am sure we got a lot of great pictures that people can enjoy for years to come. Don’t forget to check out all my images at John Zachary photographyand like me on Facebook at John Zachary Photography.